Earn $6.07 in Rewards credit (607 points) What's This? When you're putting in serious miles on whatever surface you can find, you need the type of reliable protection you get from the Shikoro's armored construction. This heavy duty long-wearing tire features the extremely durable 4HD casing, offering low rolling resistance and lower weight. 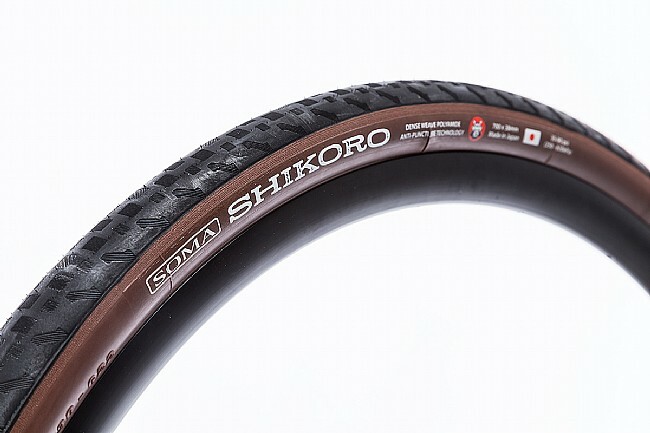 Designed for riding on sub-optimal surfaces, the Shikoro features Dense Weave Polyamide Anti-Puncture Technology from bead to bead, virtually eliminating punctures and slashes from the tread through the sidewalls. 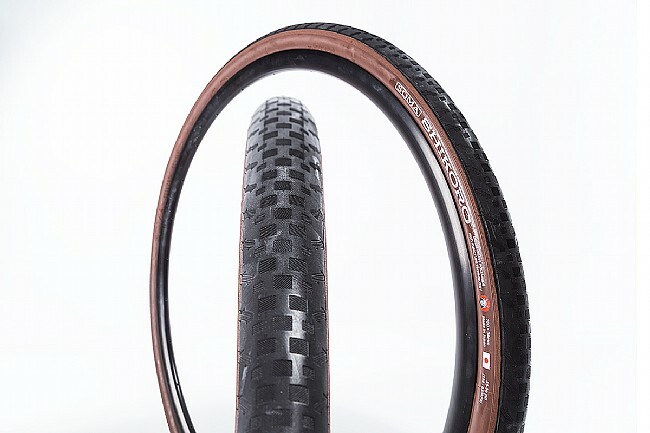 4HD casing offers low rolling resistance and puncture protection. High Mileage carbon rubber compound with all road tread pattern. Wanted a wider, more comfortable, more durable version of my Continental Grand Prix Classic. I ride a 1978 Raleigh Competition GS with several comfort modifications. Recently upgraded to H Plus SON TB14 wheels that are wider than the originals and capable of running modern tires. Really liked the conti's but wanted to go wider for more comfort, durability, and flexibility on varying road surfaces. Luckily the 33mm 'just' fit in the chain stays. Currently running 45psi front 50 rear, the minimum indicated is 35psi. Really smooths out the rough roads and I can do more trail riding too. And they maintain that retro look. I couldn't be happier.